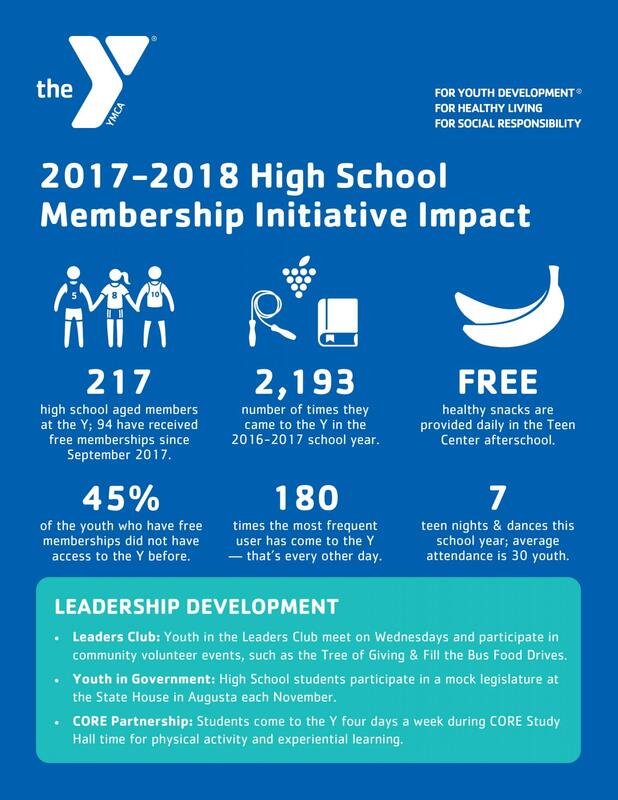 We are excited to welcome every high school student in our region as members of our YMCA at no cost to them. Thanks to the generous support of Paul and Giselaine Coulombe, the Y is proud to now be able to ensure that all high school students have access to the programs and services that the Y offers. One of the Y’s strategic goals is to ensure access, inclusion, and engagement of 100% of the youth in our community. Take advantage of all that the Y has to offer!